America Isabel Crawford's mother died when she was 10 and she was raised by an Aunt (Lydy Ann). She had three brothers, one - Unlce John Crawford and one sister. Her mother died in childbirth. The baby lived. Raised in Missouri. She was of Scottish and English descent. Joe Abb Mitchell was raised in Arkansas. They were married standing up in back of a wagon. He was a violinist, played for square dances. When he became a christian (Baptist) he gave up the violin. His sister Aunt Jennie Harrison had a deaf mute daughter named Rena Harrison and lived in Stiddum, Oklahoma. Another sister Aunt Fannie lived in Bell, California. He had an Uncle Tom who visited family. 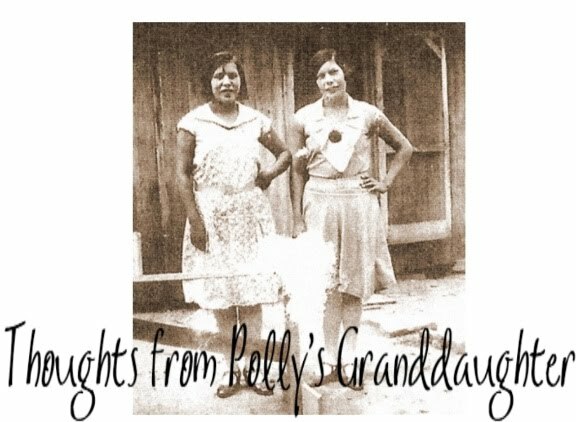 No Indian blood except way back in Grandpa Mitchell's family, not much even then. Grandpa Mitchell was of Irish descent. He workwd in marble quarry in Marble City when I ws 4 years old. Dora and Tom were married there. Grandma Mitchell wrote Governor of State and was granted permission to start school for children and taught. She taught one year in our home, a large log house. It was the beginning of a school in that area. Grandpa Mitchell started a Sunday School and eventually started a Baptist Church in Marble City north of Wetumka. Dad used to come on train to see Mom. Right after they were married Grandpa Dooley, Aunt Bessie & Aunt Mattie moved in on them & stayed. Mother never counted on that. Grandpa Dooley was young man & could have worked but never did after that. A good percentage of the people in the area were illiterate. There was an Aunt Sophia Harrison. She and Aunt Jennie were sisters. Aunt Jennie lived at Stiddum. 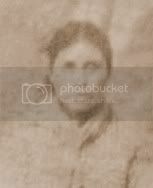 Aunt Sophia had a large family they lived at Stillwell, Okla. They married brothers named Harrison. I never knew Aunt Sophia's family very well. Dora was good friends with their children. They were older. I guess we lived close to them when I was too young to remember. We moved from Marble City to Weumka when I was 5. Aunt Jennie Harrison had 5 children Rena the oldest, Ed, another boy I can't remember his name - Oh yes his name was Pinkerton, they called him Pink (how could I forget that), Allie and Jim the baby. They were at our house a lot she was my dad's baby sister. Her mother died when she was young. My mother ande father helped raise her. After mother died Aunt Jennie & Rena came out to Calif and lived a year with Ida and Charlie.